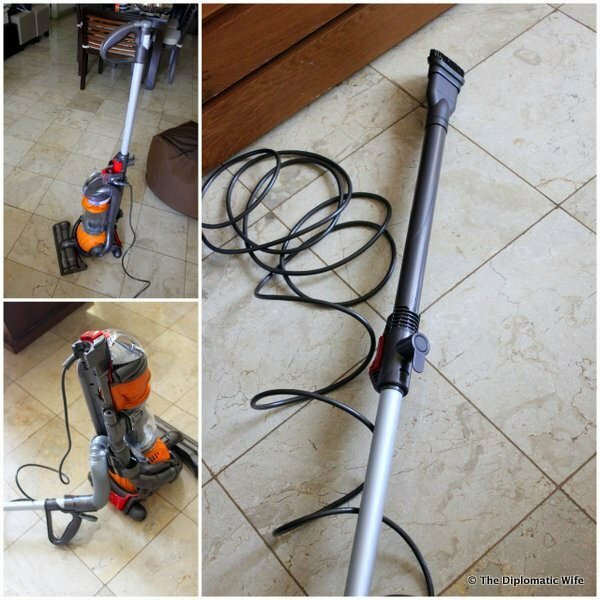 I’ve had my Dyson DC 24 vacuum cleaner for a few months now, but I wanted to write about it after using it for a couple of months to be familiar with how it works and how effective it is. 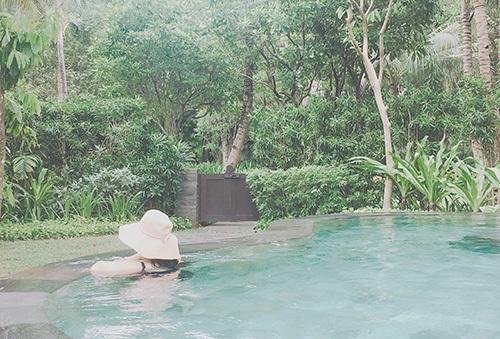 I researched for a long time, saved for an even longer time, kept checking out the different models in the store for months… and it took me even longer to convince TD that we should part with the hard-earned money I saved. 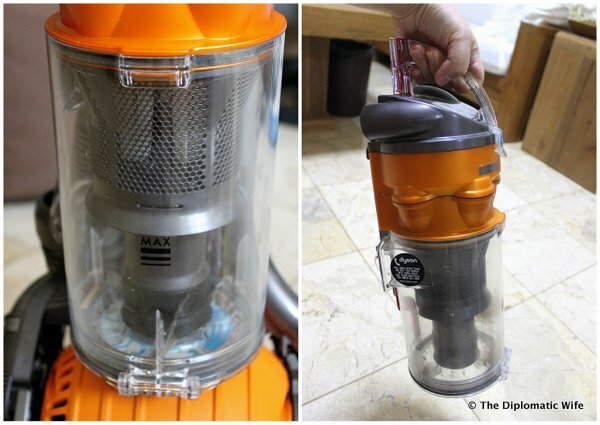 All in all the entire process took me 2 years before I finally took the leap and purchased my first Dyson Vacuum Cleaner – the DC 24 – and boy am I glad I did it! I hope you find the unboxing photos and my review helpful. 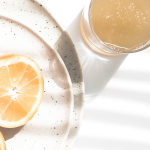 I am a sucker for great design… and packaging is a part of that. 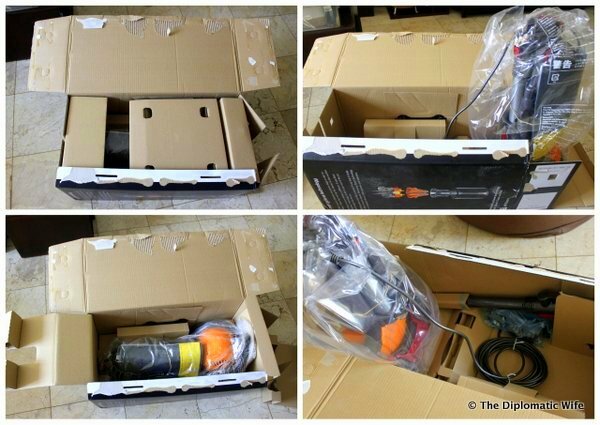 Dyson is all about smart and efficient design – even the packaging is so well thought out! The marketing person in me was so thrilled. So although the box was a little worse for wear coz of storage, I loved that it wasn’t your usual brown appliance box! It was black and the different surfaces were used to communicate information about the appliance within. Unboxing was pretty cool too. It was like taking apart pieces of a lego. There was also no styrofoam used. 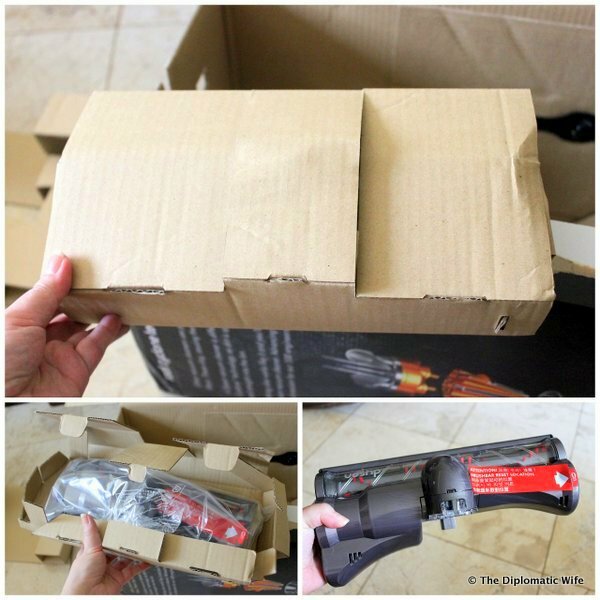 I could also tell that they tried to use the least amount of packaging, while providing perfect protection. 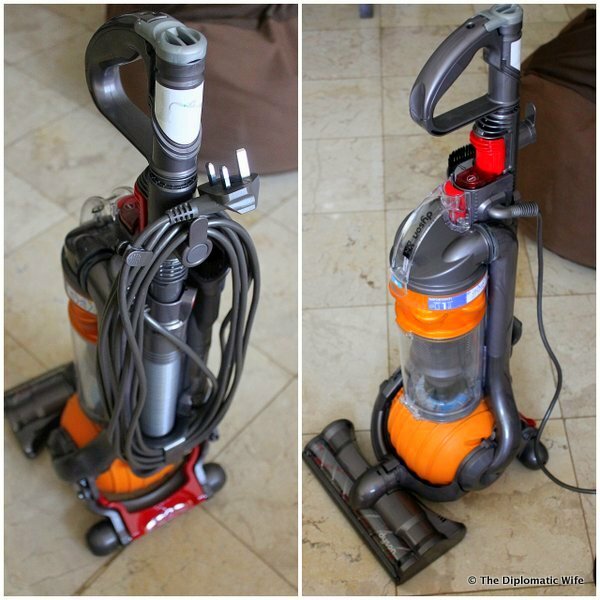 A small and easy to store upright vacuum, because I live in condo/apartment – This is the smallest upright vacuum of Dyson at the time of purchase. It is 2/3rds the size of a regular upright vacuum. 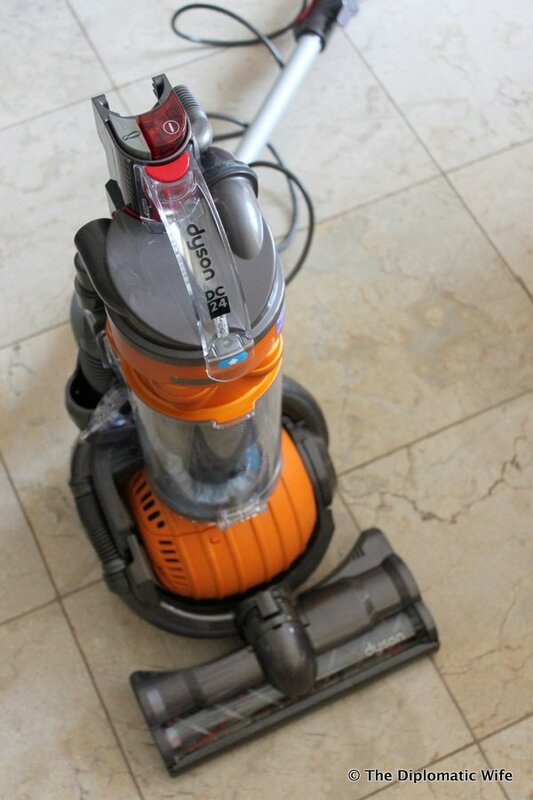 Light and easy to maneuver – The DC 24 All Floor is the lightest upright vacuum of Dyson. It’s not at all a chore to use. 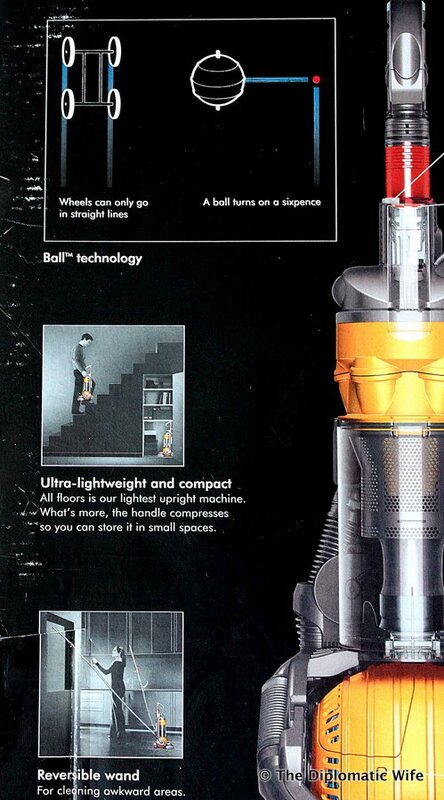 And with the patented Ball™ technology, it’s the EASIEST vacuum to maneuver. Seriously. It turns with the flick of my wrist! Powerful enough to pull-out pet hair from the beddings/upholstery – Because it is bagless, then there is no bag that get’s clogged and causes loss of suction/power. Instead, it has it’s patented Root Cyclone™ technology that doesn’t lose suction power as you vacuum. 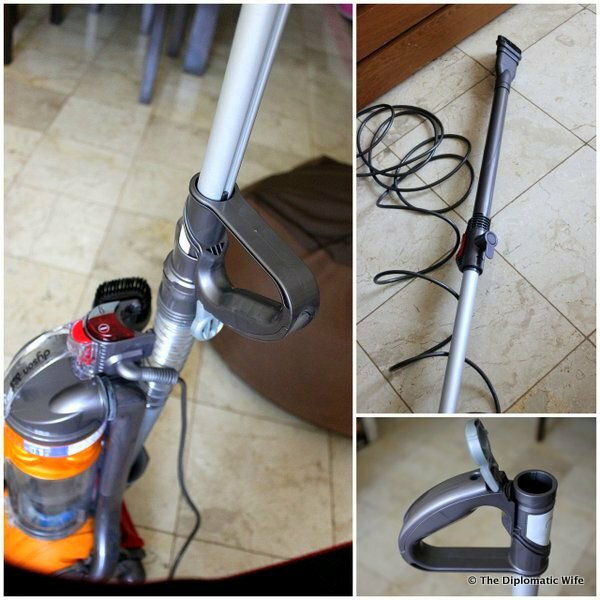 Easy to use and idiot proof – Though the Dyson Vacuum cleaner looks like it was designed by NASA, it’s so well designed, so ergonomic, that it barely needs an instruction manual. The Instruction manual is so short, barely a few pages. Unlike other high-tech gadgets or appliances. 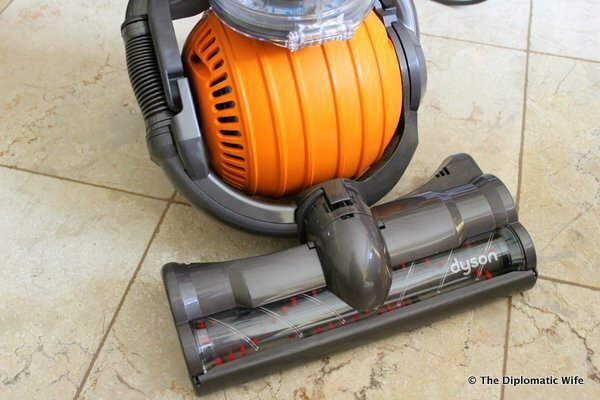 Least amount of maintenance – Dyson vacuums are bagless, so you don’t spend on refills and parts regularly. Other brands might be cheaper, but it’s very deceptive because you end up spending more. Dyson has washable HEPA filters that have a lifetime warranty. No need to replace! 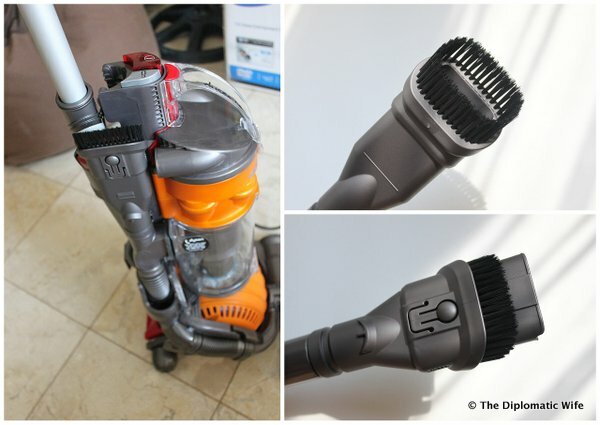 The only not so ideal things about this vacuum for me was the short wand, which can be resolved by getting an extension, and it didn’t have the supercool retractable power cord of the bigger Dyson Cleaners. But again, my priority was size and this isn’t such a big deal. The cord as it is, is a breeze to wind/unwind. 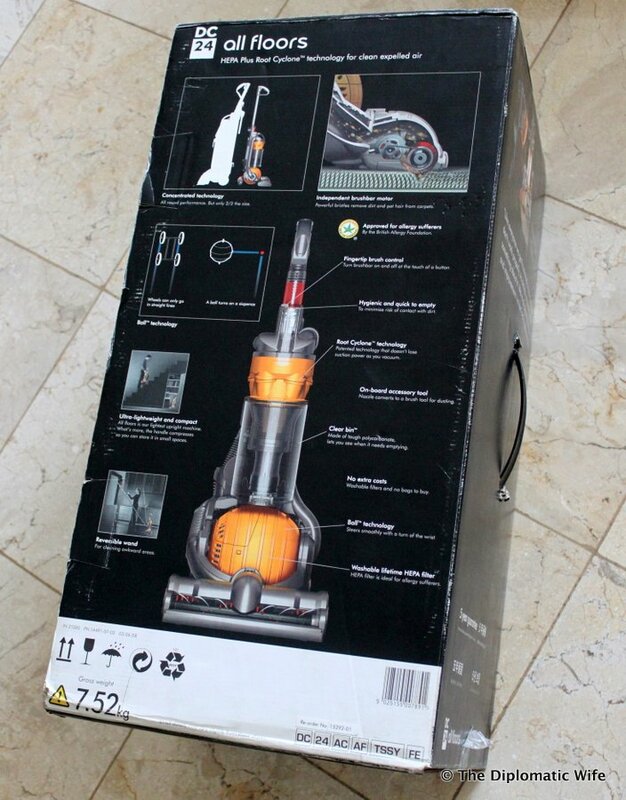 The reversible wand is also the handle of the vacuum, which compresses. I just pull it up to lengthen it, when I need to use the floor vacuum. When I need to vacuum the curtains or dust the ceiling for cobwebs, etc. I pull it out completely, and attach the nozzle. This is the on-board nozzle which converts to a brush for easy dusting. 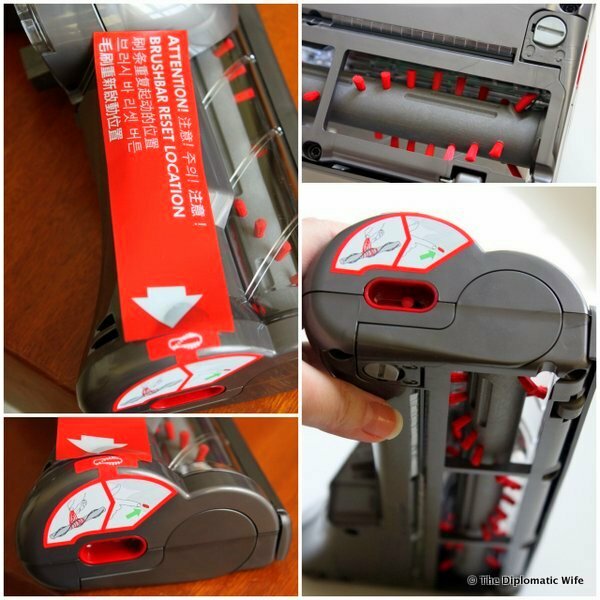 It is cleverly stored on the vacuum side, making it so convenient to use. Use as a floor vacuum or extend and use as a reversible want for hard to reach places and weird angles. This is the floor vaccum attachment. If you don’t have a carpet, you don’t need to use the brush bar. If you do have a carpet, the brush bar can be turned on with the push of a finger and it grabs dirt and hair from carpeting. The brush is for heavy carpets. For more delicate carpets, turn it off and make sure to secure the carpet or else it will get sucked in. I love how idiot proof everything is! Just awesome! You can remove the brush bar to easily remove tangled hair. Very cool! This is the single ball, instead of having 4 wheels which are so hard to turn and maneuver. 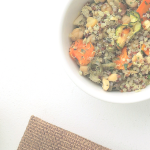 This baby turns so smooth and easy! It can turn 90 degrees with a flick of my wrist. Dyson is so brilliant to think of this! 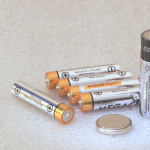 The tough polycarbonate clear bin lets you see when it needs emptying. With one button press, the bin is released from the body, then with another push, the bottom of the bin opens and dirt is released directly into the trash bag. This is so brilliant for minimal contact with dirt! No icky/dirty bags to clean or replace – which would be terrible for me because I am allergic to dust and I have asthma. The washable lifetime HEPA filter traps microscopic allergens such as pollen. And the air expelled from a Dyson is cleaner than the air you normally breathe. This vacuum is approved for asthma & allergy sufferers by the Asthma and Allergy Foundation of America & the British Allergy Foundation. 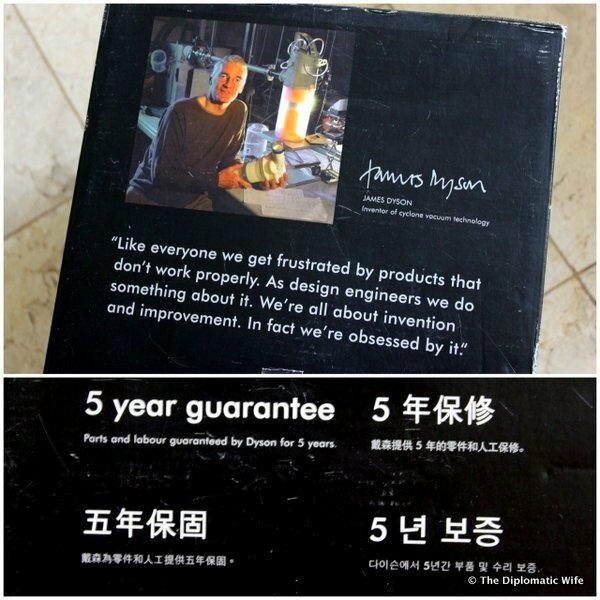 The best thing is that Dyson believe’s in their products so much that they have a 5 year international guarantee for parts AND labour. 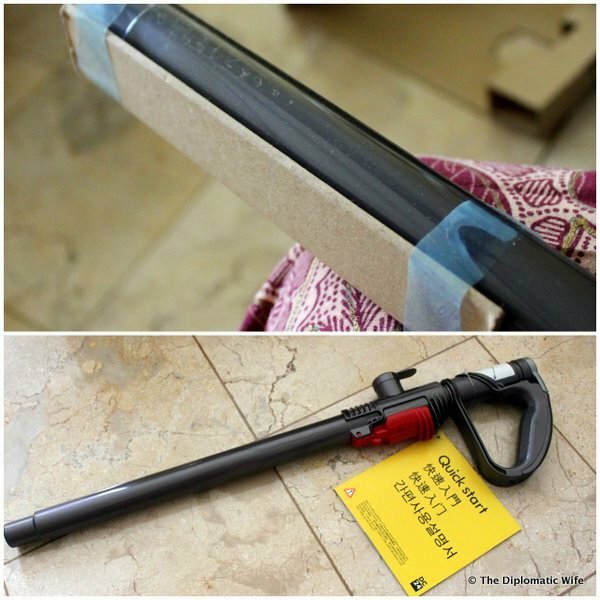 I am really happy with my Dyson and it is worth every Rupiah I spent! I’ve had vacuums before that I never ended up using (which is a bigger waste of money) because I found them hard to handle and didn’t clean as well. I still ended up needing to mop or wipe with a damp rag for a really good clean. With the power of the Dyson, once I vacuum, there is no need to wipe off small dust particles because none is usually left behind after a few swipes. One example of this is the wax finish furniture that I ordered from Danni. Because it has no varnish, there is a persistent coat of very fine wooden dust that is left. No matter how many times we wipe it with a damp rag, when it dries there is still some dust left! This is horrible for my asthma and allergies. Fortunately we already had our Dyson DC24, so we just vacuumed the surfaces of the furniture and rid ourselves of the stubborn super-fine dust! Thank God for my Dyson Vacuum! It’s such a pleasure to use that I actually get excited to use it! I never thought I would find vacuuming a relaxing and pleasurable task. But with the Dyson, I totally do! If you will notice, it seems that what many of the material that’s on the web about Dyson is the same as what Dyson advertises. It’s not because people have no originality, but it’s because Dyson performs as it promises to. It fulfills all the brilliant features is says it will. because I need an extension for the wand, because the hose is a bit short for me. I also wanted the wide nozzle for removing hair, dust, dust mites etc. from the couch and the bed. I was so happy with my DC24 that after a few months I got in touch to get the Took Kit and the Grooming Tool. I finally got them a few weeks ago. Will write a review on it next week. Stay tuned! 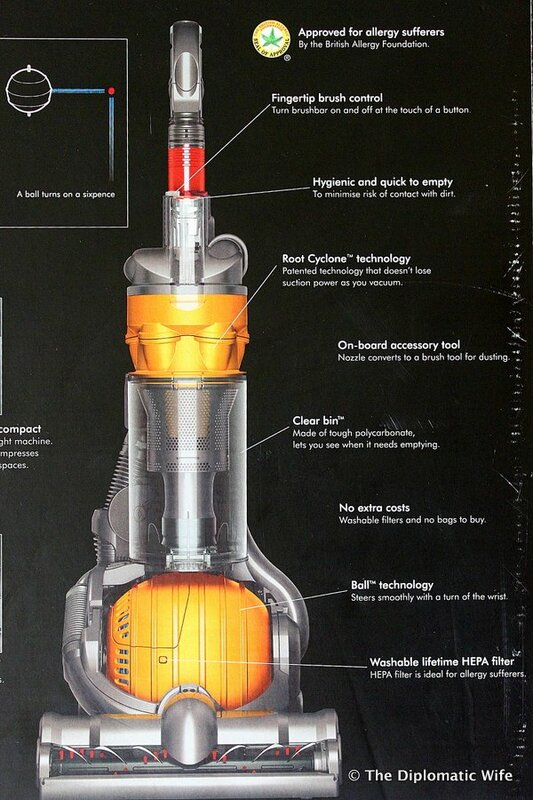 Dyson has a useful checklist of your requirements and which vacuum would fit you best. 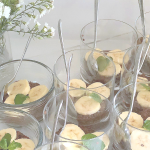 Because what is awesome for me, will not be the best for you because of our different requirements. For example, people with bigger houses will find my DC24 too small. 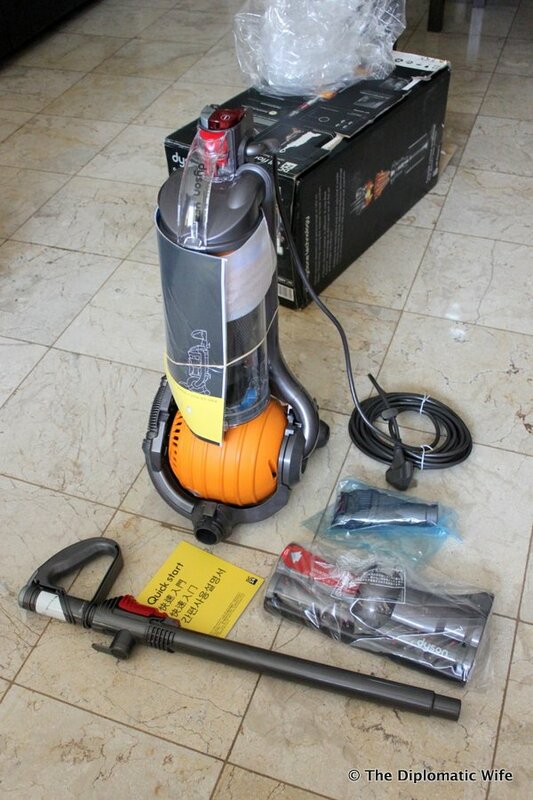 Dyson is distributed by Hiegienis Indonesia. For information and inquiries about their products, contact details below. You can also see Dyson Vacuum Cleaners at appliance centers like Best.